Congratulations! You’re one step closer to choosing a builder who truly cares about building you the highest quality home, and creating another happy customer!! Building a new home should be an exciting time spent anticipating the reality of moving into your your dream home! Whether you’re building your first home, moving up to a larger home, or even downsizing, Miller Custom Homes, Inc. can help you eliminate the worries associated with building and home construction. We guarantee the highest level of personal service throughout the entire design and building process. Next to actually moving into your new home, this is the fun part! While we realize few people have an unlimited budget for their dream home, most know what they want and this is the time to share you ideas and visions with us! Jim and Dan will work with you every step of the way in working up the best design and floor plan for your dreams and your budget. Once we come up with a satisfactory plan, including BOTH exterior design (doors, windows, siding, decks and other exterior considerations) and interior design (such as kitchen design, number and placement of bedrooms and bathrooms, family room, great room, etc. ), we'll plan, coordinate and take care of all construction work: foundation work, sidewalks and driveway, home construction and finishing, your garage and landscaping. Are you looking for a new garage or other ways to expand your home such as additional bedrooms, a 2nd floor for your growing family or a sunroom? NO PROBLEM! We take the same care and attention to detail when helping remodel or renovate your existing home. Custom Building Experience You Can COUNT On! Don't take ANY chances! You can trust our 40+ years of home design and construction experience, which has enabled us to acquire and perfect the knowledge, expertise and attention to detail that our customers demand in their homes ... and that KEEPS them coming back for years to come! Contact or call Miller Custom Homes, Inc. TODAY at (608) 576-6080 or (608) 576-6077 for a FREE in-home consultation. You have nothing to lose, and you will likely find the Home of Your Dreams! "Jim kept us fully informed throughout the entire building process and he and his workers exhibited outstanding quality in finishing our home. Minor changes were easily implemented. We'd highly recommend Miller Custom Homes, Inc. to build your dream home"
"Having been Dan's material supplier for the past five years, I've been able to see how his experience and attention to detail help his clients build their dreams. 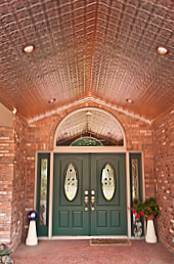 It was an easy choice for me to have Miller Custom Home, Inc. build our dream." © 2015 - 2019 Miller Custom Homes, Inc., All rights reserved. Page Summary: Miller Custom Homes offers home builders, new homes, custom homes and home improvement ideas. Services such as new construction, new home construction, custom home builder as well as home remodel are also part of the scope of our business. 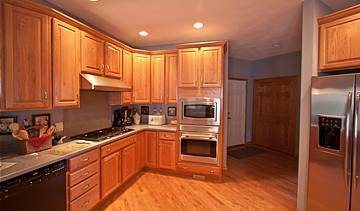 We also specialize in custom builders, luxury custom homes in Sun Prairie, Madison, Middleton as well as Monona. Other areas we serve include Waunakee, DeForest, Fitchburg and Cottage Grove. We also service Oregon WI, McFarland and beyond.